Posted on April 5, 2014 by Clare Cooks! So apparently this March Madness business is finally coming to an end this weekend. Finally. I used to care about sports, but now I am more or less completely apathetic (with one exception). I think this is partially due to the false advertising of surrounding professional and college athletics in America. “March” Madness. We are now a week into April. Stop encroaching on a perfectly innocent month NCAA. However, I will consent to watching sporting events mainly because they allow for drinking at otherwise inappropriate hours of the day and snack foods, both of which I am a fan of. Creamy ranch, a little kick from the jalapeños, tangy lime. It’s pretty much perfect the perfect dip in my book. I used mild jalapeños and mild green salsa, and while I did increase the amounts from the recipe I based my dip on, I didn’t find the jalapeño flavor or spiciness to be overwhelming at all. If you are a little more hesitant about spicy, you might want to cut back on the jalapeños and salsa and add to taste. Recipe adapted from Capturing Joy. 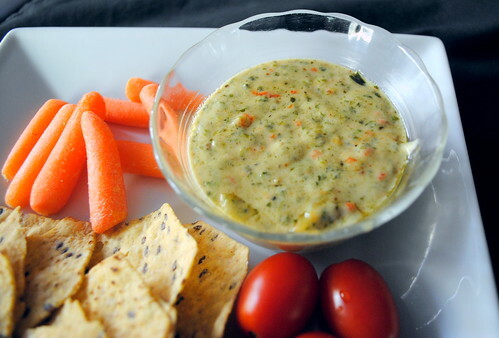 Serve with tortilla chips and veggies and enjoy! Posted on January 29, 2014 by Clare Cooks! 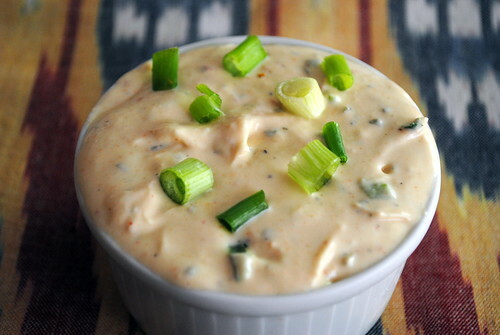 I made this dip at the beginning of football season to go with some football watching. It was an instant hit in my (play)book and since the season is now only one game away from being over, I guess I better share it before it’s too late (I’m not even going to apologize for those horrible football puns). Chipotle and ranch are probably two of my favorite flavors. Combining them resulted in what I think is the world’s best dip. 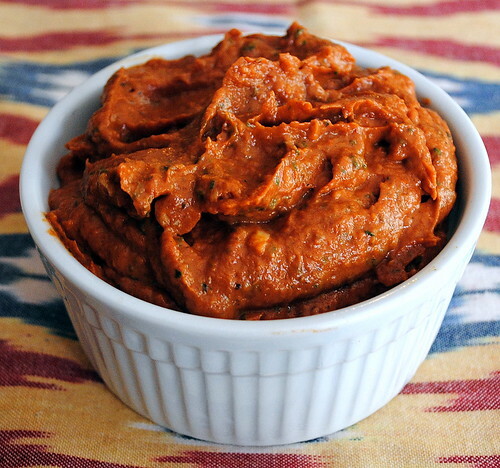 This dip is the perfect combination of slightly spicy, tangy and absolutely delicious. 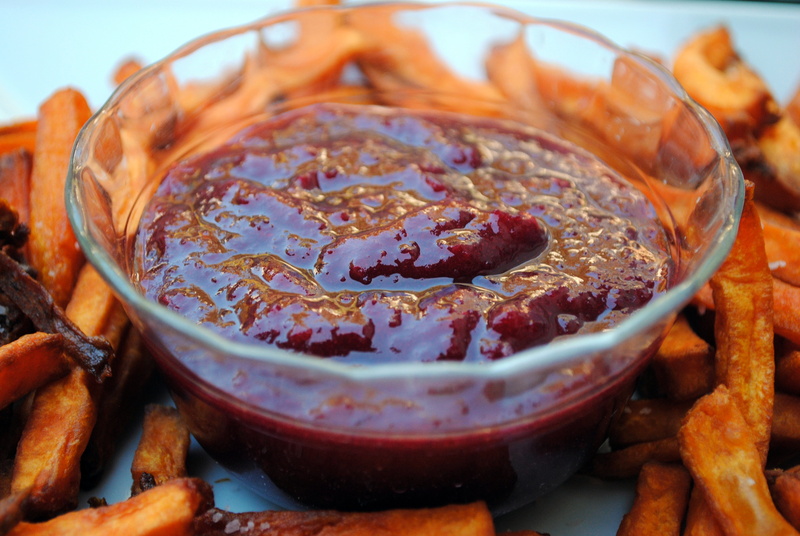 I served the dip with some veggies and kettle chips, but I think it would be a great dipping sauce for chicken wings if they are your thing. In a medium sized bowl, mix together yogurt, mayonnaise, ranch mix, almost all the green onions, cilantro, garlic, lime juice and chipotle. Mix until well blended. Refrigerate until needed. 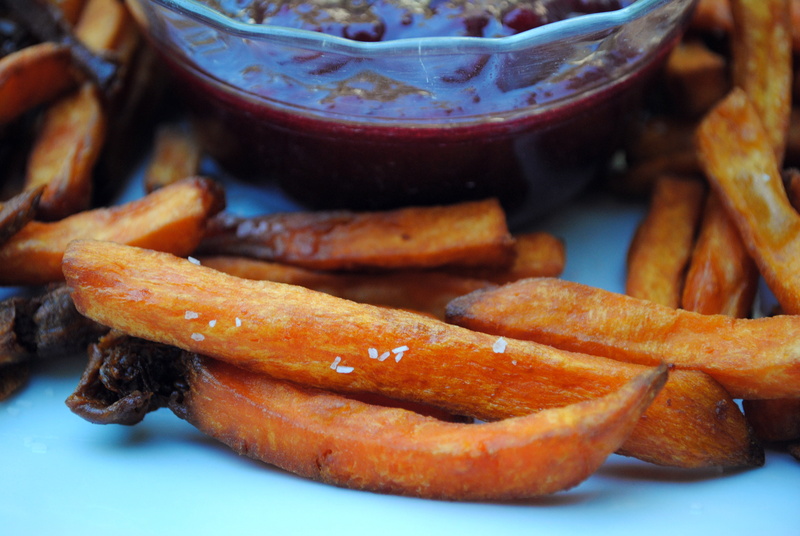 Serve with veggies or potato chips. Posted on January 31, 2012 by Clare Cooks! It’s Super Bowl weekend! And I am quite excited and a little nervous. My beloved New England Patriots are playing! And I really, really dislike any and all members of the Manning family, so needless to say, I am really looking forward to the game. Snacks are a very essential part of the super bowl. Since I will be very antsy on Sunday, I tried to come up with some ideas that can more or less all be made ahead of time or that will require very little effort apart assembling and sitting in front of the t.v. to cheer on the Pats! 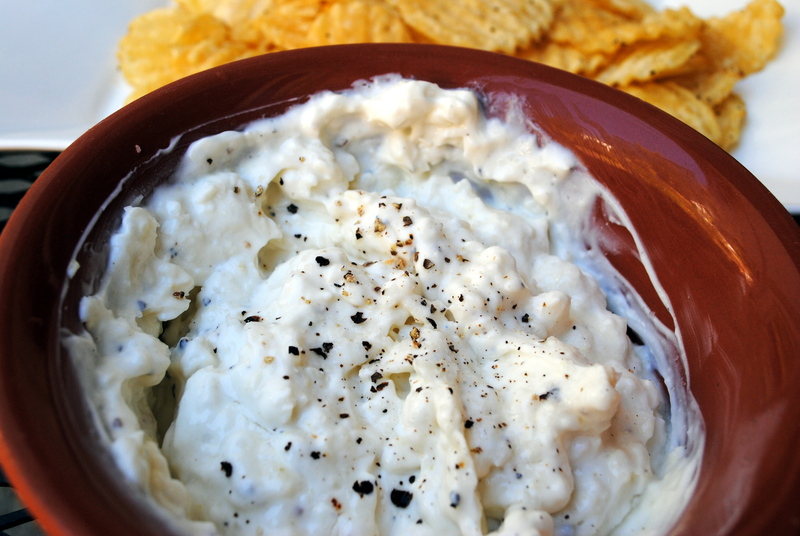 This dip is so easy to make! Throw everything in the food processor and your done. And it’s super tasty too. You can make this up to 3 days ahead of time. It’s perfect if you are trying to get ahead on party appetizers. Pulse shallot, garlic, and water chestnuts in a food processor until coarsely chopped. Add cream cheese, cottage cheese, yogurt, lemon juice, salt and pepper and pulse until just combined. Add spinach and chives and pulse until incorporated. 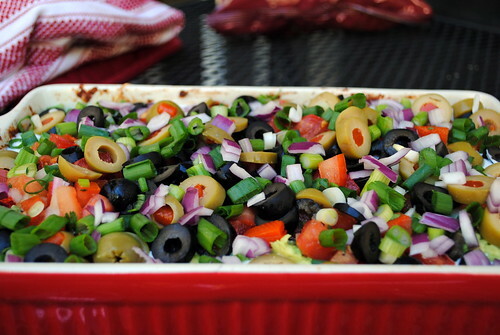 I really wanted to make 7 layer dip, but none of the recipes I found were really doing it for me. I decided to just throw what I was in the mood for all together and hope for the best. It worked out perfectly! I had intended to include guacamole in this dip as well, but only one of my avocados was ripe. I mashed up the avocado with a little Kosher salt and some lime juice and spread it out as best I could. I also decided to dress up my diced tomatoes a bit by making pico de gallo. 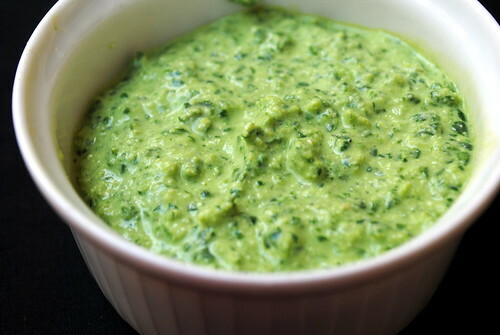 Simplest salsa ever. Tomatoes, diced white onion, cilantro, lime juice, kosher salt, done. I also like to include a bit of garlic (minced or powder) and freshly ground pepper to make it even tastier. Preheat oven to 375F/190C. In a small bowl, mix the beans, chiles and 1/2 cup of cheese together. 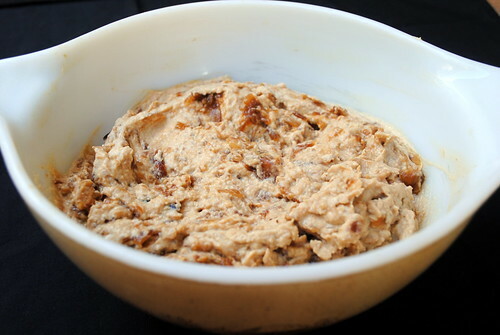 Spread on the bottom of a large baking dish. Bake for 15 minutes. Remove dish from oven and spread remaining cheese over beans. Return to oven and bake for another 5 minutes until cheese on top is melted. Remove dish from oven and top with remaining ingredients or anything else that makes you happy. I’ve already discussed my caramelized onion problem many times. 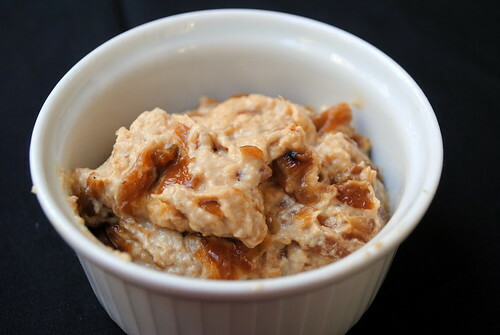 If you can think of it, I’ve probably come up with a way to put caramelized onions in it. But it’s not my fault, caramelized onions are so delicious. They belong on everything. 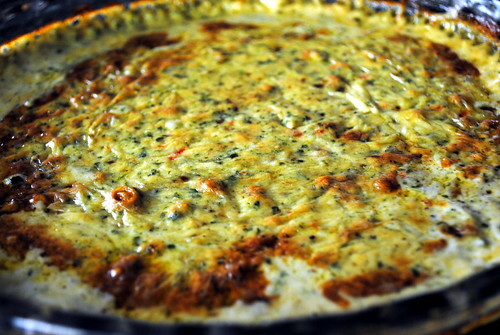 This dip can definitely be made the day before since it should chill before serving, but be warned, once you get your first taste, there might not be much left over. Posted on November 15, 2011 by Clare Cooks! 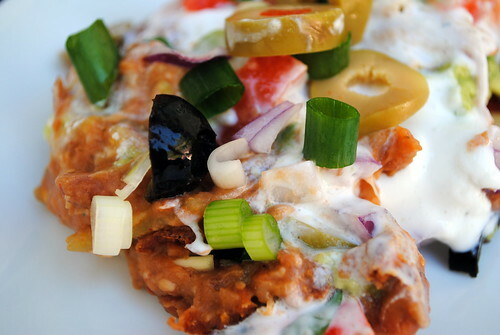 This is the easiest appetizer in the world. 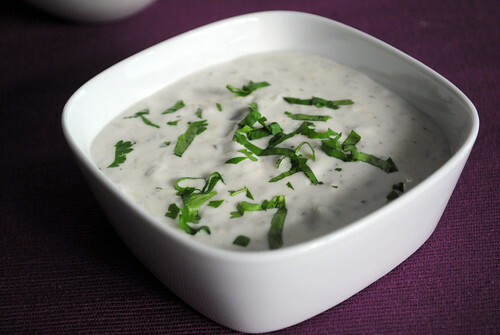 It’s a welcome twist on your usual sour cream dip. The cheese makes the dip a little more decadent, but the tang of the lemon just helps balance it out perfectly. In a medium bowl, mix together the sour cream, pecorino, lemon zest, lemon juice, ¼ teaspoon salt, and ½ to 1 teaspoon cracked pepper. Serve with the potato chips or veggies.